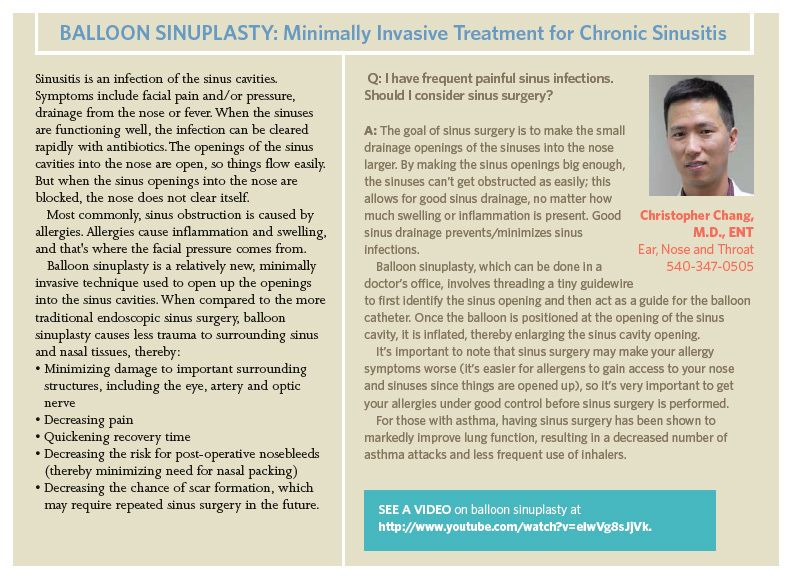 Dr. Chang was recently featured inside a regional quarterly newspaper regarding balloon sinuplasty in the treatment of chronic sinusitis. Sinus surgery has come a long way compared to even just 5-10 years ago and great patient experiences after this type of surgery is not uncommon now. 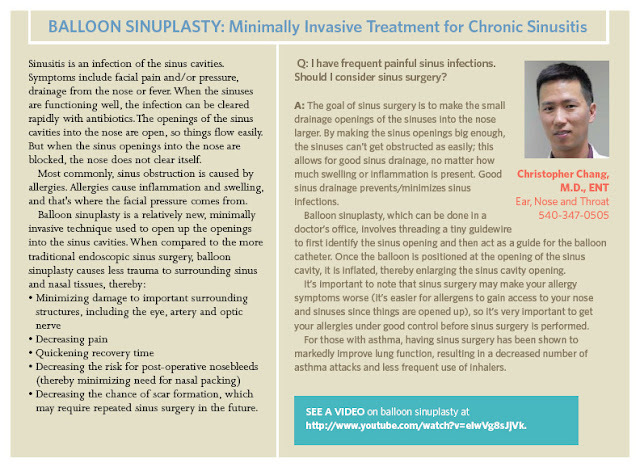 Balloon sinuplasty is a relatively new innovation that allows sinus surgery to even be performed even more comfortably in the office without any sedation (not all patients are candidates). Such advanced sinus surgery techniques have been available at Fauquier ENT since 2005. Read more about sinus surgery and balloon sinuplasty.